Anybody born in 1000, by the 1040s, would hardly remember anything that was covered on the first quiz. They would look back at the 1010s, and think that things had been simpler then, and that people had been nicer, and kids more respectful to their elders. But that's only because our brains are wired to prefer pleasant memories to unpleasant ones. If we told them that our textbooks imagine the Middle Ages as a time of social stagnation characterized by almost imperceptible changes from one generation to the next, they would have laughed at us like the fools we are. 1. Today it is owned by the Bavarian government and called the Bayerische Staatsbrauerei Weihenstephan, but it was founded when the Weihenstephan Benedictine Abbey was granted a license by the city of Freising in 1040. It is therefore probably the world’s oldest continuous manufacturer of what popular product? 2. George Maniakes was catapan of Italy in 1042, before launching a doomed revolt against Emperor Constantine IX. What do you suppose a “catapan of Italy” was? They were around from the 970s to the 1070s. 3. Also in 1042, a king took the throne England who would reign until 1066. The son of Æthelred the Unready, he was considered a very pious figure – the only king of England ever to have been canonized, in fact – but he was an uneven ruler. Certainly, he didn’t handle the question of his succession very well. Who was this last of the great Anglo-Saxon kings? 4. Rodrigo Díaz de Vivar was born in 1043. In a spectacularly successful military career he would lead armies for Christians against Christians, for Christians against Muslims, for Muslims against Muslims, and for Muslims against Christians. During his lifetime, he was already becoming the semi-legendary national hero of Castille that he remains today. What is the very compact nickname he is generally known by? So famous, they made a movie about him! 5. The Wujing Zongyao, a 1044 Chinese military manual, contains instructions for building flamethrowers, recipes for chemical weapons, and a formuna that “held a potassium nitrate level of 55.4% to 55.5%, sulfur content of 19.4% to 26.5%, and carbonaceous content of 23% to 25.2%.” What were the authors of the Wujing Zongyao cooking up? 6. In 1045, Benedict IX sold the papacy to John Gratian for ready cash. Gratian took the name of Gregory VI. But while this was going on, a faction of Romans had meanwhile declared the Bishop of Sabina as Pope Sylvester III. To make things more complicated, Benedict IX changed his mind and tried to reclaim his office. With three Popes running around, what official was summoned to Italy to sort things out? 7. In 1048, the Zirid Berbers, who had been vassal governors of North Africa, declared independence from a powerful Egypt-based empire, marking the end of its peak era of power. 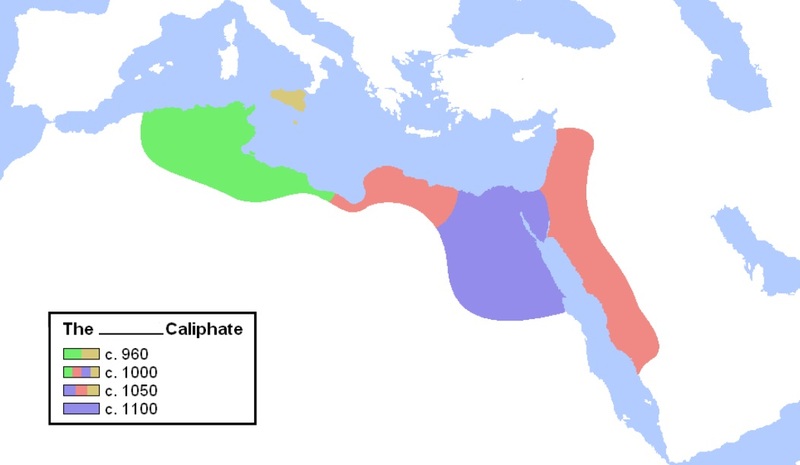 The dynasty that controlled this empire claimed descent from Fatima bint Muhammad (فاطمة بنت محمد), the daughter of the prophet Muhammad. What do we call them? 8. Sometime in the 1040s, Bi Sheng cut Chinese characters into evenly sized clay wafers, then hardened them in a kiln. He kept them sorted in little boxes, from which he could take them out and arrange them on a frame. What had he invented? 9. 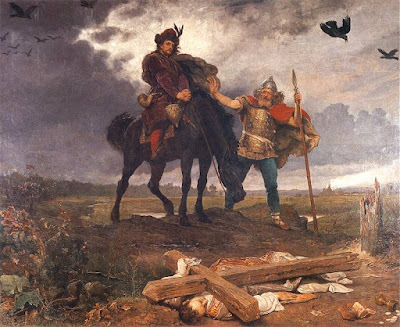 After a long period of internal chaos and invasions from outside, Casimir I “The Restorer” was able to reunify his country over the course of the 1040s. He reclaimed the lands of Masovia, Silesia, and Pomerania, and reintroduced Christianity in the wake of a major pagan revival. This time it stuck, and indeed Catholicism remains very strong in the country today. What country? 10. Meanwhile, in the city then called “Heian-kyō,” a single family continued to hold a grip on imperial power. “The family's primary strategy for central influence was through the marrying of [its] daughters to emperors. Through this, [they] would gain influence over the next emperor who would, according to… tradition, owe loyalty to his grandfather.” What society was thus ruled by a single clan throughout almost its entire “Heian” period? 1. The Chinese had started using the spinning wheel. 2. The Godwins were the bigshots in pre-Norman England. I am not going to be tricksy until the 17th century at the earliest. 3. The peninsular kingdom of Goryeo -- just say it out loud: Korea. 4. 1033 was the millennium of the death of Jesus Christ. 5. Shocking goings-on in the Byzantine court. 6. 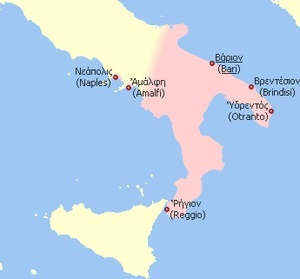 Pisans were people from Pisa, a city-state with a powerful navy and a substantial maritime empire in the early mediaeaval period. 7. Saint Sophia Cathedral is in Kiev, home of the Rus. Russia started in the Ukraine. 8. The flower sermon is very Zen, and indeed it is a foundational story of Zen Bhuddism. Zen is a Mayayana school, but I think the Flower Sermon is closely enough associated with Zen to make that the exclusive right answer here. 9. The Seljuk Turks will be a big deal until the Ottomans arrive, I believe. 10. The Tangut (or Western Xia) shared space with the Song and Liao for a while in the history of China. So if I did all of the hard counting right, that puts defending co-champions Unwise Owl and pfly in co-second-place, with Christine M. getting there firstest and mostest with let's say 7 1/2 marks. And everyone is enjoying thinking about history in this fun and supportive environment! 6. the Holy Roman Emperor? 3 I forget. Harold the Conquered? The comment submission form isn't working for me again. 2) Is that the Byzantine equivalent to a governor? 3) Sounds like Edward the Confessor to me. Can I get a quarter-point for everyone you just fooled into saying Harold “Help I have an arrow in my eye” Godwinson instead? 6) Presumably the Holy Roman Emperor? I have no idea which one. 7) I think it’s probably the Fatimids. Just a hunch. 8) Moveable type. It seems crazy to me that a language with so many characters was the first to come across the idea. 10) Japan. My good friends the Fujiwara were a clever lot, weren’t they? 4. No idea. El Cid? 8. Oh, moveable type, right? And hey, did you dock me for saying Mahayana instead of Zen? I'll have you know I was taught that the flower sermon was the founding of Mahayana Buddhist by...uh...some...um...Zen teachers. pfly: Yes, I did, but only after careful research that suggested that, although Zen/Chan is indeed a Mahayana school, it is not the only or first Mahayana school. I'm am BY NO MEANS an expert on the subject, mind you. And by "an expert" I mean "even a smidge knowledgeable."